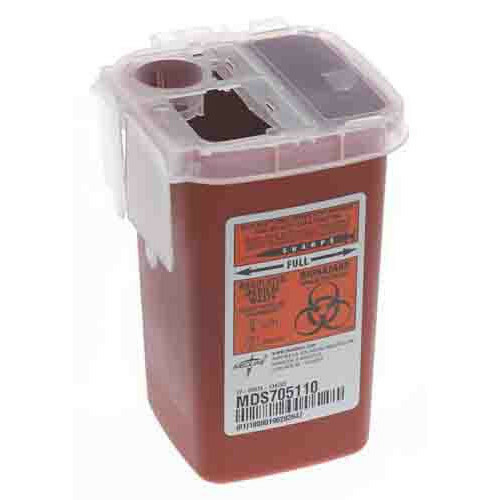 Medline'Phlebotomy Sharps Containers are a biohazard container designed to hold multiple bio-hazardous materials for later dispensary. 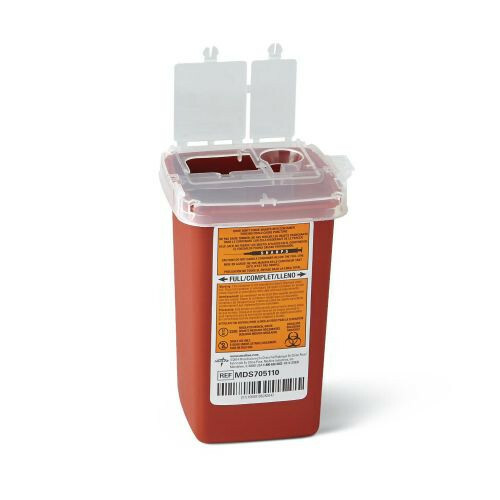 The 1 Quart Phlebotomy Sharps Containers is much smaller in size by comparison, are lightweight, easy-to-use and easy-to-see containers designed to fit into blood drawing trays for easy disposal of needles and other medical supplies. The square base makes it easy to keep stable on a flat surface and the translucent top offers better visibility of the disposed contents. Lids are available in single or double openings, in order to fit a variety of sizes. 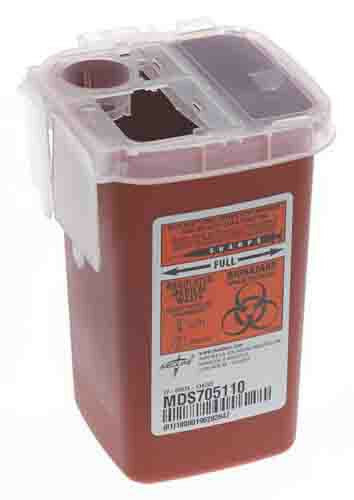 When the container is full, a locking feature lets you safely move from one facility to another for safe disposal. Brackets are available for mounting the container, saving your office some space. Perfect for short term use or travelling. It's a bit smaller than I expected but that is my mistake and not the fault of the container. It's nice that it can be closed temporarily without being permanently sealed. Once full, it's easy to completely seal it for safety. I will buy this container again.